UPDATE: English booster pack image added. 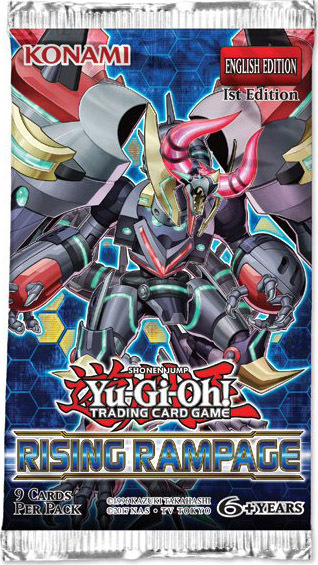 We are excited to share some information about an upcoming product release from Yu-Gi-Oh! TRADING CARD GAME! Rising Rampage, a 100 card booster set, is set to be release this summer! 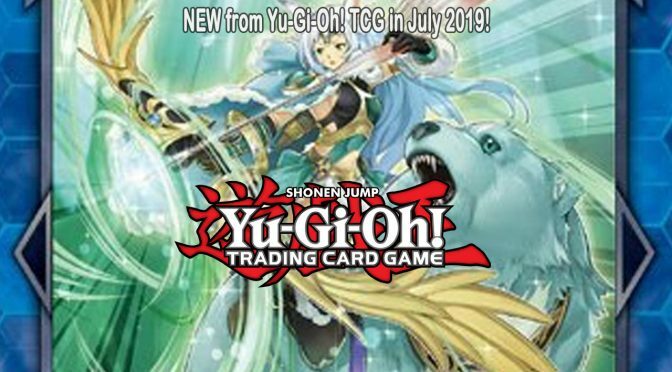 Launching Friday, July 26, Rising Rampage celebrates Summer 2019 by bringing together the first 100-card booster set of the 2019-2020 dueling season. This all-new booster set features masters of Tenyi martial arts, the Marincess, Witchcrafters from The Infinity Chasers, Fortune Lady Every and more. Master the Tenyi arts! The practitioners of Tenyi martial arts discard their material possessions and mortal abilities and instead channel the unbridled power of nature by communing with the planet itself. Marincess rule the seas! Blue Maiden’s Ignis-powered Cyberse strategy from Yu-Gi-Oh! VRAINS makes land in Rising Rampage. Just drawing this theme’s basic monster, Marincess Sea Horse, is enough to let you Summon the Link-3 Marincess Marbled Rock AND add Marincess Sea Horse back to your hand! The Witchcrafters from The Infinity Chasers complete their masterpiece! Take delivery of Witchcrafter Golem Aruru and you can upgrade any Spellcaster-based Deck with a monster that hides in your hand until your opponent targets your Spellcaster with an attack, card, or effect, and then makes them regret it! Fortune Lady Every is a Synchro Monster you can put in any Spellcaster-based Deck! She grows stronger during each of your Standby Phases, and each time she does, one of your opponent’s monsters ceases to exist! She can’t be defeated by normal means, springing out of your Graveyard every time your opponent ends their turn. A unique new weapon for your Extra Deck! Apollousa, Bow of the Goddess is a Link-4 monster that nocks an arrow for every monster used to Link Summon it. Each one is worth 800 ATK, for a maximum of 3200 ATK, and you can have Apollousa lose 800 ATK to negate the activation of any opposing monster effect. Previous PostUPDATE: NEW from Yu-Gi-Oh! TCG in April!Next PostTCG Tournament Policy Update Posted!